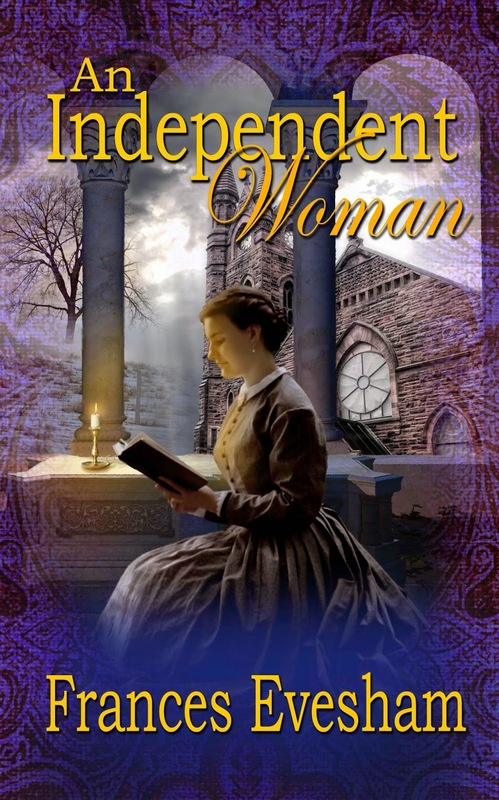 Reviews for An Independent Woman, a Victorian mystery romance, new on Amazon. A charming blend of mystery and romance ... a book which will appeal to those who enjoy a sweet, clean romance, likeable characters and a perplexing mystery, writes Carol Cork on the review site Rakes and Rascals. The romance between Philomena and Hugh is beset by ...deceit, distrust, dark secrets and fiendish villains... heartwarming... an authentic, Victorian feel. Unputdownable says Pippa Dunbar on Amazon.co.uk. An historical romance with a compelling mystery. Contact me if you'd like more information or want to leave a comment. Trapped between the upstairs and downstairs occupants of the great country house, Philomena hears whispers of the mysteries and lies that lurk in empty corridors and behind closed doors. Her rescuer, the dangerous, enigmatic Hugh, Lord Thatcham, wrestles with his own demons and makes Philomena’s heart race, but she must fight her passion for she can never marry. Her eyes were half closed. His lips brushed gently, soft and warm, over her mouth. For an endless moment she stayed quite still, beguiled by the spicy sharp taste of his lips. A charge electrified her body. Then her head cleared. She gasped. Was she mad? This was Lord Thatcham and she was nothing but a penniless waif in his power. He meant to have his way with her, just as Joseph had tried to do. Lord Thatcham’s arms fell away. Blood drained from his countenance, leaving the dark eyes aglow in a white face. He said not a word.